The number of stepfamilies is growing. What works to help a couple in a traditional nuclear family will not necessarily work for stepfamilies, and the challenges can be great for both children and adults. This is why it is essential to know what is required to thrive as a stepfamily, so we – as professionals – can offer the best possible help when working with these families. 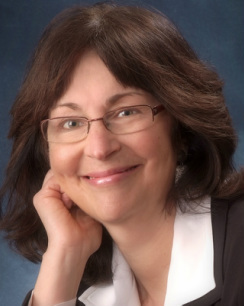 Dr. Patricia Papernow is one of the world’s leading experts in understanding and working with stepfamilies. During the two-day conference Dr. Papernow will deepen your understanding of stepfamily dynamics and strengthen your skills working with them. She will present the five greatest and most predictable challenges of stepfamilies. Furthermore, she will describe clinical skills and interventions on the psychoeducational, interpersonal and intrapsychic levels. During the two days, Dr. Papernow will demonstrate intervention on each level and you will have time to practice your own therapeutic skills. Whether you work with children or adults, with couples and families or with individuals, you will leave this workshop with a substantial tool box. Dr. Papernow is a world-leading expert within the field of stepfamilies. She integrates the now-substantial research in the field with her own more than 40 years as a clinician in an engaging and accessible way. She is inspired by the Internal Family Systems (IFS) model, along with training in family systems, attachment theory, trauma and interpersonal neurobiology. Her framework addresses both families with common challenges and families with heavier issues. Dr. Papernow has published over 30 articles and book chapters as well as several books on the topic of stepfamilies. Her books, “Surviving and Thriving in Stepfamily Relationships: What Works and What Doesn’t” and “The Stepfamily Handbook: From Dating to Getting Serious, to Forming a “Blended Family” can be purchased during the conference. 13:45 HOW DO ADULTS HELP CHILDREN MEET THEIR CHALLENGES? “Mature” stepfamilydom: What do healthy, long-standing stepfamilies look like? Register before 1. July 2019 to benefit from the early bird rates. Conference registration covers both days of the conference. DKK 2495,00 ex. VAT. for registrations before 01.07.2019. Use cupon code: “earlybird papernow” at check-out. Later registrations DKK 2995,00 ex. VAT. Students DKK 2195,00 ex. VAT. Use cupon code: “student papernow” at check-out. • If you pay by card the amount will be withdrawn from your account immediately after your registration is complete. • If you pay by EAN-number or invoice the payment is due a month prior to the conference. • If you pay by card the amount will be withdrawn from your account immediately after your registration is complete. You can pay with VISA, Mastercard, American Express or PayPal. • If you pay by invoice the payment is due a month prior to the conference. Prior to the conference participants will receive handouts for printing along with a detailed two-day schedule. Coffee, tea, fruit and cake will be available. Lunch can be brought along or purchased at participant’s own expense at a nearby sandwich bar.